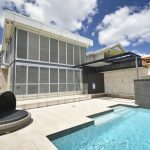 As an Australian, family-owned company, operating in Brisbane, the Gold Coast and beyond since 2003, we believe we set the standard in custom shutters, façades, louvres and screens. Shutterflex’s owners take a hands-on role in all projects to ensure our products meet the highest standards of both aesthetics and performance. Our success is built on an unshakeable commitment to in-house engineering excellence and quality results, and our reputation has grown us into a business that services commercial, residential and industrial projects throughout Australia and across the South Pacific. We are firm believers in all-Australian manufacture, so we use Australian extruded metal and carry out every part of our design and manufacturing process right here in Brisbane. By supporting local jobs, together with our residential, commercial and industrial clients, we make a real contribution to the Australian economy. 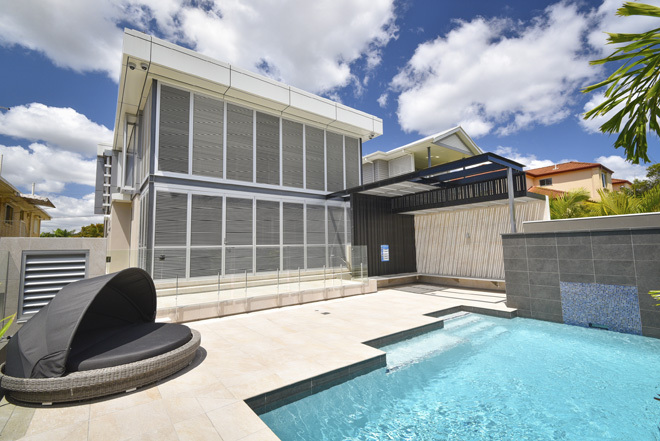 Shutterflex has provided export-quality custom shutters and solutions for shade, ventilation, privacy, storm protection and architectural façades to developments nationwide and the South Pacific. With design and engineering at the heart and soul of what we do, you can always be confident that you’re investing in top-quality climate control products, created specifically for Australian conditions.